Eaglescott Airfield is operated as a ‘Not For Profit Distributing Organisation’ and a ‘Community Amateur Sports Club’ and as such has no paid staff whatsoever. Eaglescott is manned entirely by volunteers who give their time freely for the benefit of others to enjoy aviation. The Airfield is operated by Pilots for Pilots. Members fly the club Eurostar for only £120 per hour solo. To fly the Eurostar you can become a Pilot Member for only £250 per annum, which includes unlimited Landing Fees. 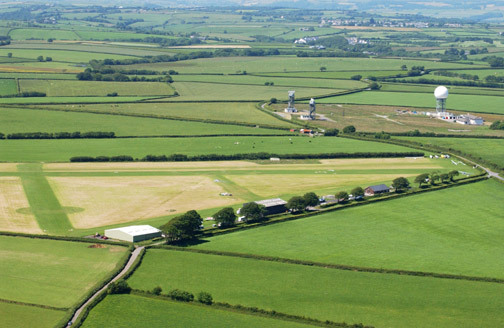 The airfield is home to the Devon Air Ambulance, enabling an air ambulance to reach an emergency scene within minutes.